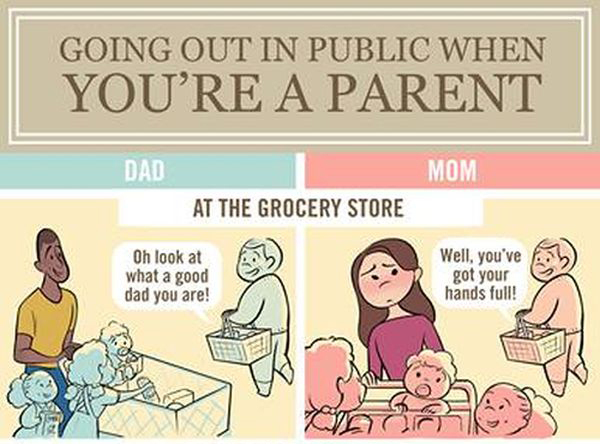 Going out in public is a little more difficult for moms than it is for dads. 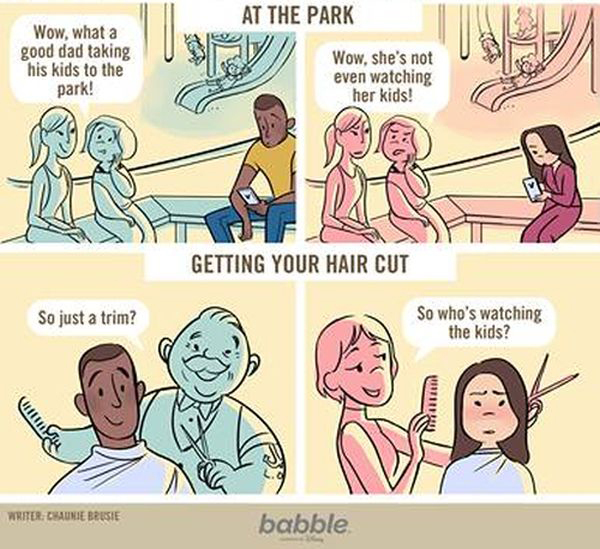 Written by a woman, thinking men have it easier. Either she is crazy or presumes too much. Number 3, At the park. 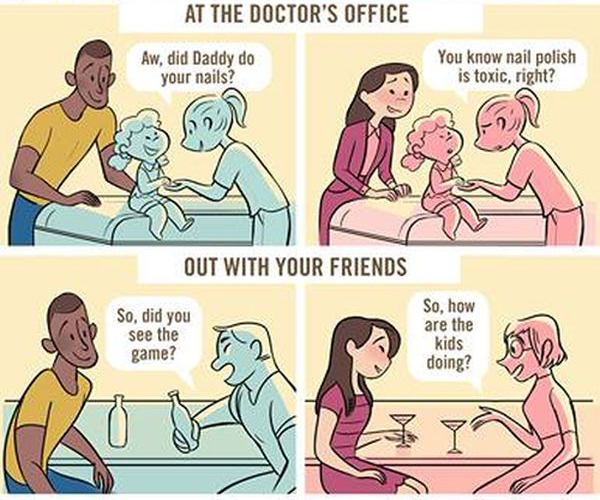 I'm a mom of two and my husband struggles just the same.